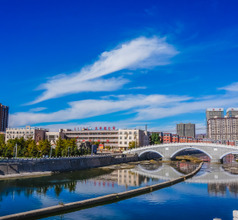 The charming city of Hohhot (also called Hushi) is the capital of the Inner Mongolia Autonomous Region which is situated in the northern part of China. It is flanked by the Daqing Shan (Great Blue Mountains) on one side and the Hetao Plateau on the other. The Yellow River passes by the city, turning the vast grasslands in the vicinity into spectacular meadows. The people of the city are as colorful as the landscape because a major portion of the population is of a mixed ethnic origin. 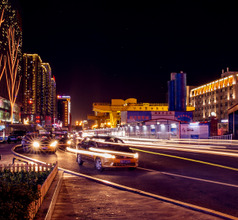 More than 36 different ethnic groups have made their home in Hohhot. Among these, the Mongols, Hans, Tibetans, Huis, Elunchuns, Manchus, Dawoers, Ewenke, and Koreans have a significant presence. The people have lived in the region in harmony and have a tourist-friendly culture. They speak both Mongol and Mandarin so one can download a suitable voice-based translation app and communicate with the locals. This effort is worthwhile in order to participate in the festivals celebrated by the locals. 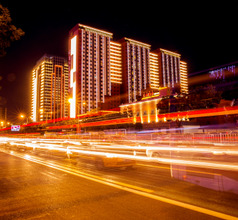 The Yin Shan or Daqing Mountain Range area near Hohhot City has a very long history of human settlements. Archaeological findings in the mountains have shown evidence of a thriving Dayao Civilization that existed 500,000 years ago. This coincides with the Old Stone Age man (Peking-Man) discovered in the Zhoukoudian site in China. Later, when the region was captured by the Huns, the invaders from the north, and regained by the Chinese Han Dynasty, the section of the Great Wall or Zhao Wall was built as a fortress to prevent invasions. 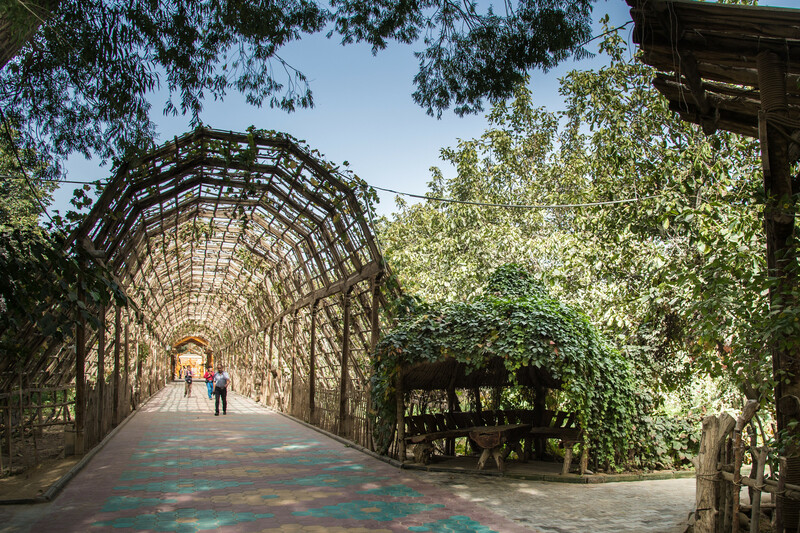 Tabutuo Village, a city with clay structures that were built during that period still exists on the eastern end of Hohhot City. 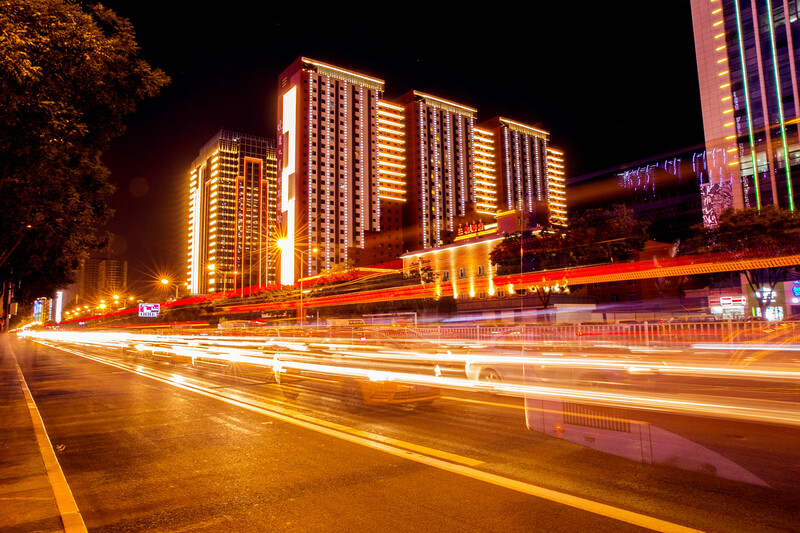 Modern-day Hohhot is all about tourism, hospitality, ethnic culture, traditional sports, and festivals. Unlike other parts of China where most of the festivals are featured around temples, the festivals in Hohhot are all about exciting competitions, contests, singing, dancing, eating, and enjoyment. The Nadaam Festival is celebrated by all the ethnic groups together in the Gegentala Grassland. There are many interesting events during the celebrations like horse racing, wrestling competitions, archery competitions, ethnic dance performances, horse riding (where tourists can participate), and bonfire BBQ parties. Each ethnic group has its own special festival as well which are celebrated at different times of the month or year. The Xilamuren Grassland and Huitengxile Grassland turn into vast yellow carpets during the spring season when the rapeseed flowers are in full bloom. Of course, the city has its own beautiful historical and religious tourist attractions. 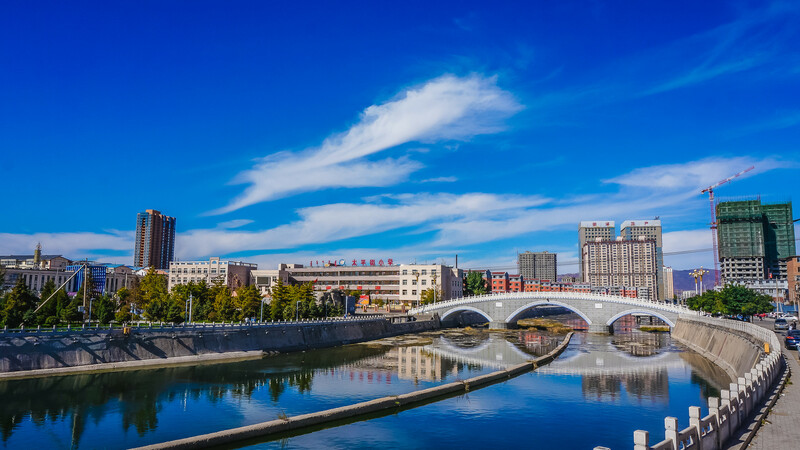 With the government’s efforts in popularizing the festival events in Hohhot and with the improvement of tourist-related facilities, the city of Hohhot has gradually turned into a popular destination for domestic as well as overseas tourists. For accommodation, one has a choice of 2, 3, 4, 5-star hotels, inns, service-apartments, youth hostels. The 4 and 5-star hotels offer a wide range of amenities like in-house restaurants serving western-style gourmet meals. The inns and other low-priced accommodation are usually clean with minimalistic add-ons. The accommodation in the grasslands is in the form of yurts, which are traditional Mongolian tents which are spacious and comfortable. This accommodation is available throughout the year, but prior booking is necessary especially during the Nadaam Festival. Many of the museums in China showcase relics belonging to either a particular dynasty or a specific time period in history. Whereas, the Inner Mongolia Museum is a very unique attraction that has priceless artifacts dating from the Stone Age to date. The exhibits include flora, fauna, minerals, dinosaur fossils, space exploration findings, etc. 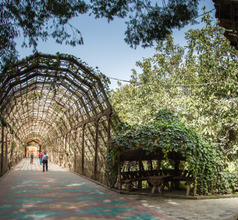 There are some ancient temples around Hohhot City that should not be missed because each one has something unique to offer tourists. The 16th-century Da Zhao Temple is the oldest one in the region. It has a magnificent 2.5-meters-tall statue of the Sakyamuni Buddha made of silver that is an awesome sight. Built with Indian-style architecture in the 18th century, the Temple of the Five Pagodas has some unique Buddhist artifacts not seen elsewhere in China. The Xilitu Zhao Temple is the largest and most important Buddhist temple in Inner Mongolia. There is a very unusual site in Hohhot that is found only in some parts of China. 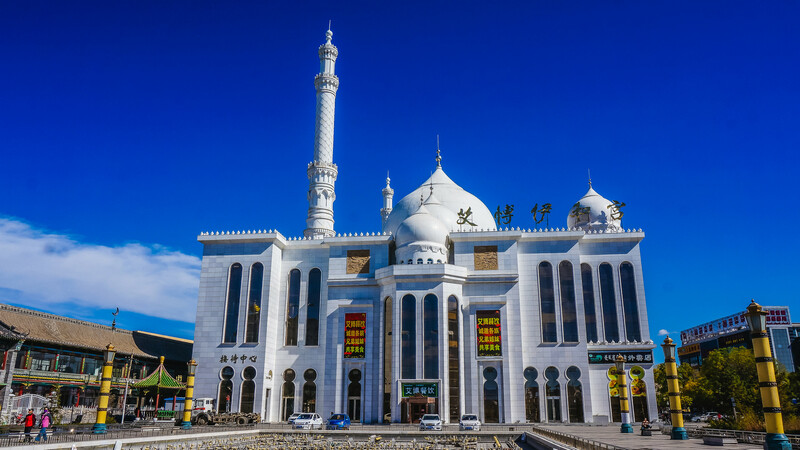 Built in the 17th century, the Great Mosque is an Islamic religious place built in the traditional Chinese style. It is the oldest and biggest mosque in the city. Another unusual tourist attraction is the Tomb of Princess Zhaojun built in honor of the Chinese princess who married a Hun chieftain to bring peace between China and Mongolia. Those looking for unique experiences and adventure must try out the Mongolian Steppe village packages that many agents offer. The experience involves staying in a tent on the grasslands, eating their local delicacies (which are usually bland), and exploring the surroundings on horseback. 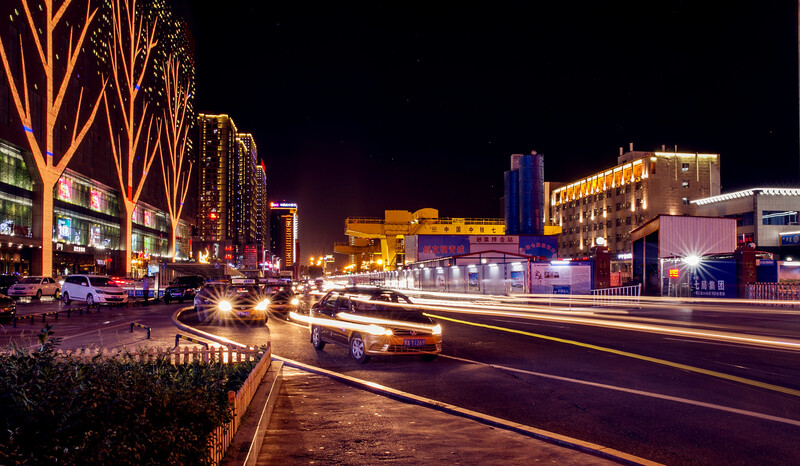 Other attractions in or around Hohhot City are the Wusutu National Park, Great Wall (Zhao Wall), Ulanqab Wind Turbines, People’s Park (an amusement park with recreational facilities), etc. In the capital of Inner Mongolia, Hohhot Baita International Airport is 14 kms from the central hub of the city. Public buses (cost RMB1) and airport shuttle (RMB15) are cheap but take two hours from city center. Ticket booth and shuttle bus pick up are outside the arrival area. Taxis take half an hour but cost up to RMB70. Over 100 routes are served, including limited international ones and almost all carriers service this airport. The cuisine of Inner Mongolia and that of Hohhot City uses a lot of yak and goat milk and its by-products. Noodles made with oat flour or buckwheat flour are the staple in this region. The Mongolia yak-milk tea is the signature beverage of the region. The Mongolian Hotpot is a mildly flavored meat soup that is perfect to combat the cold weather of the region. Other popular delicacies of Hohhot are instant-boiled mutton, hand-held mutton, grilled whole lamb, the succulent roast leg of lamb, finger mutton, baked gigot, all-fish banquet, Shaomai (stuffed pancake), etc. 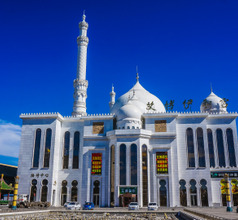 Aside from the restaurants serving the local specialties, downtown Hohhot also has a number of Western, Italian, German, Japanese, Korean, and Muslim restaurants for those who are not adventurous eaters and would prefer not to try the local dishes. Of course, the cuisine in Hohhot is mild and not spicy.